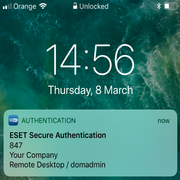 Highly-trained professionals available 365/24/7 to help organizations respond rapidly to security issues and protect their reputation, whilst also saving IT-related costs and freeing up IT resources. Why a Premium Support Service? Improve the security profile and trustworthiness of your organization by responding to all cybersecurity issues rapidly and efficiently. 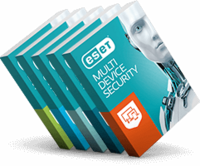 Benefit from 365/24/7 immediate assistance and proactive information from highly-trained customer care specialists and increase the value of your ESET security solutions. Receive technical assistance during major upgrades, installations of service packs, software migrations and other tasks, enabling your organization to keep operating without interruption. Enable the organization IT department to focus on core tasks, without being confronted by security issues. Highly-trained customer care specialists at your disposal 365/24/7. Expert consultancy directly from the makers of our technology. Get priority on support calls to resolve all IT security issues rapidly. Track the history of all your support tickets. Receive appropriate technical assistance during major upgrades, installations of service packs and software migrations.